Bosnian Serbs led the oppositional voice against weapon exports to Ukraine, where fighting between government forces and rebels in the East threatens to fracture the country. After Bosnian arms producer Unis Group recently won a 5 million euro ($5.66 million) tender to provide Ukraine with weapons and ammunition, Russia called on the Bosnian government to nix the deal. Bosnian Serbs, who have strong bonds with fellow Orthodox Christian Russia, said that permitting arms exports to Kiev would damage their relations with Moscow. 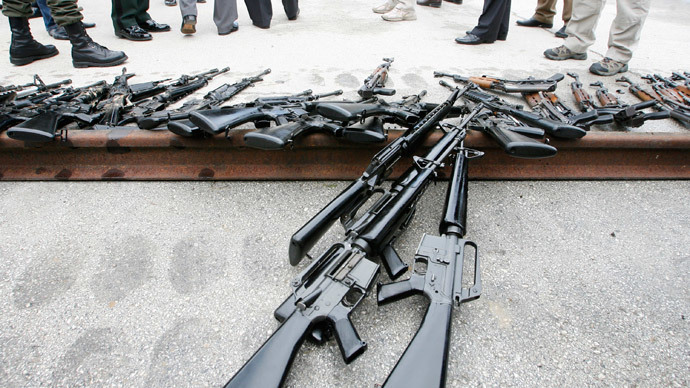 The presidency said arms exports to Ukraine would not promote regional security. "[Arms exports] do not contribute to regional security, stability and ongoing international diplomatic efforts to broker a peaceful solution to the crisis in Ukraine," said the presidency, which represents the three main ethnic groups, as quoted by Reuters. "The crisis in Ukraine can be resolved only through a peaceful, democratic means, political dialogue and negotiations, with full respect of the international law." Meanwhile, in December, the US Congress unanimously passed legislation authorizing President Barack Obama to send up to $350 million in military aid to the Ukrainian military, a move Moscow warned would have disastrous implications in the region. Other western countries, such as France and Germany, said they would not support any military assistance to Kiev. Since 1995, following a peace treaty ending the Bosnian War, the presidency of Bosnia and Herzegovina rotates among three ethnic lines, Bosniak, Serb and Croat. Bosnian Serbs are more unreceptive than Bosniaks and Croats to EU and NATO membership, opting to cultivate relations with Russia. Last month former Trade Minister Boris Tucic, a Bosnian Serb, resigned from his position after rejecting the Unis deal. 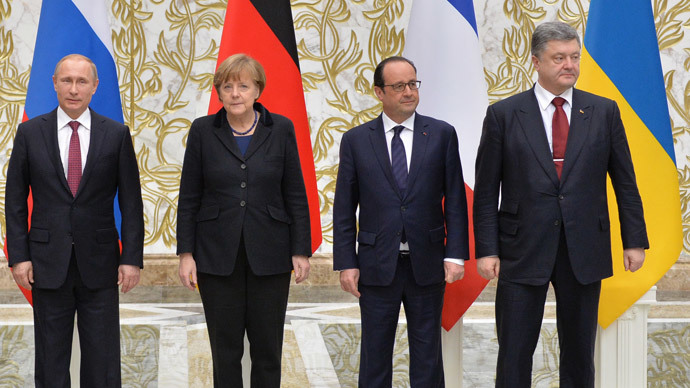 Leaders of Russia, Ukraine, Germany and France wrapped up marathon talks in Minsk on Thursday in which they agreed to a ceasefire, beginning February 15. “I believe we agreed on a big deal. We agreed to a ceasefire starting at 00:00 on February 15,” Russian President Vladimir Putin told journalists following the talks.